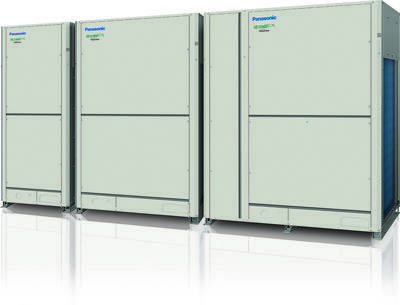 Panasonic Air Conditioning Systems, a company fuelled by passion and poised to provide customers with effective and innovative solutions, will soon be launching the future standard bearer in energy efficient VRF air conditioning solutions. The FSV- Eco Extreme (EX). The system will be launched at the Mostra Convegno Expocomfort (MCE) Asia 2015 from 2nd to 4th September 2015. It is the first dedicated trade exhibition for the heating, ventilating, and air conditioning (HVAC), Water, Renewable Energy and Heating Sectors of the green building community in Asia. Established in 2015, Panasonic Air Conditioning System acts as the 2nd Headquarters for Panasonic Air Conditioning Company under Japan Panasonic. Panasonic Air Conditioning Systems fully inherits the strengths of PAPAMY (Panasonic Appliances Air-Conditioning Malaysia Sdn Bhd) and PAPASEMY (Panasonic Appliances Air-Conditioning System Engineering Malaysia) by offering the benefits of one-stop convenience to customers. With its world-class air conditioning business centre, Panasonic Air Conditioning Systems offers a wide variety of products to cater to all sorts of preference with varied technological dynamics with the supports of 24/7 customer service team. As the only manufacturer with a VRF factory in Malaysia, Panasonic alone offers ideal integration of R&D, manufacturing, planning, procurement, sales, logistics, delivery and service, thus maximising its value to its customers.